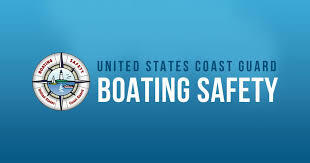 Home » NJ Boater’s Safety Courses ~ 2019! Get your license before the boating season begins! Join us for a “Coast Guard” approved Boater’s Safety course that will be offered starting in February and then continue throughout the spring and summer season. You will learn the “rules of the road”, basic navigation and lots of safety tips. After completing the test at the end of the day, you will receive your required “NJ Boating Safety Certificate” and be legally able to operate your boat anywhere in New Jersey. The class is $45 per person and it includes lunch! Please call to reserve your seat now; classes fill quickly! (609) 926-1700.